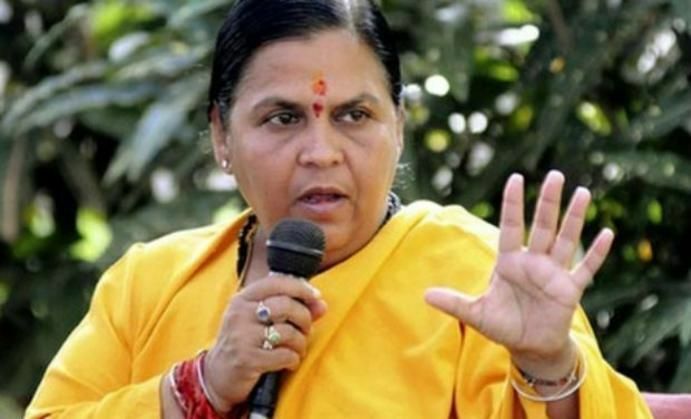 On 29 May, Union Minister for Water Resources Uma Bharti, taunted Congress vice-president Rahul Gandhi over party general secretary Digvijaya Singh's "nation is burning" outburst. Bharti said that the Gandhi scion's "heart is burning" courtesy the development taking place in the nation during the NDA regime. Bharti also trained guns at Digvijaya Singh, saying that the Congress leader is making such desperate and demeaning statements just to save the image of the grand old party. "The nation is not burning, but the hearts of Rahul Gandhi and Digvijaya Singh are burning after witnessing the progress made by the NDA Government," she told ANI. On 29 May, Digvijaya dubbed Prime Minister Narendra Modi as Roman emperor Nero and lashed out at the BJP-led NDA Government's lavish celebrations to mark two years in power. "Prime Minister Modi is saying the nation is changing and developing. The nation is burning and Nero is celebrating. Is this good governance of BJP and RSS," he tweeted. READ NEXT >> Housefull 3: What does 'Bunty' Abhishek Bachchan think of directors Sajid-Farhad?